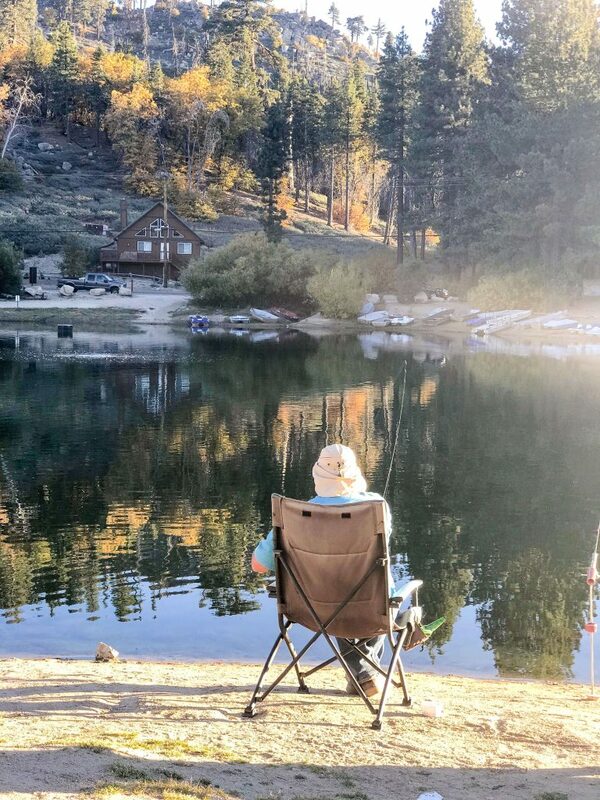 An overview and review of Green Valley Lake located in the San Bernardino Mountains of California. A small and quaint fishing lake with plenty of other outdoor activities for all seasons. 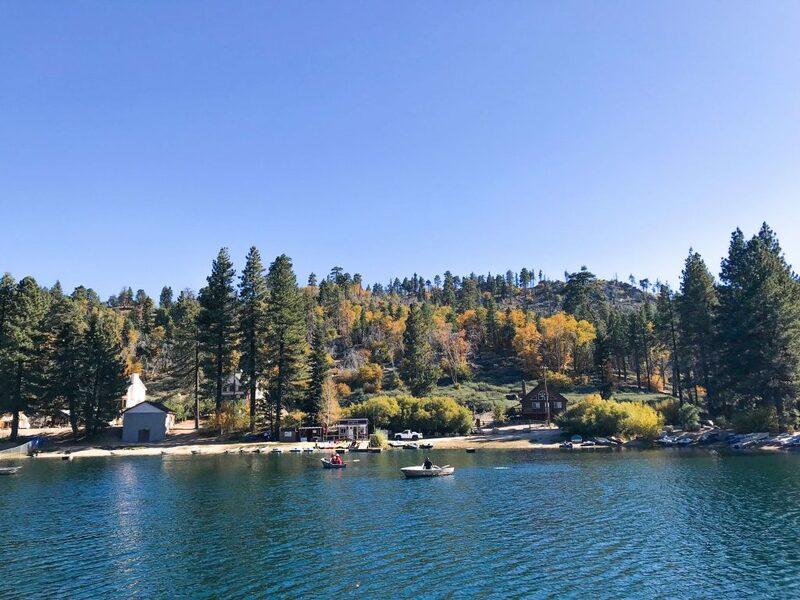 Green Valley Lake is a secluded location in the San Bernardino Mountains of California. At 7000′, the city surrounds a nine-acre lake and is almost 4 miles away from State Highway 18 in the National Forest. Due to it’s isolated location, there is only one road to get in and out of the city. It’s neighboring cities are Arrowbear and Running Springs. Green Valley Lake has activities going on year-round to keep you entertained in all seasons. Aside from the many outdoor activities, Green Valley offers cabin rentals, restaurants, summer concerts and much more. Three times a year there is an Artisan Tour where local artisans open up their home or studio to display their handmade artwork. This is just one of the annual events hosted here. Green Valley Lake offers a campground for tent and RV camping. Some sites are available on a first-come, first served basis. Cabin rentals are available from several different management companies. Green Valley Lake is known for it’s trout fishing and is a well stocked trout fishing lake. For a Green Valley Lake fishing report, you can check out the GVL tackle website prior to your trip. Important: Remember to keep what you catch, regardless of the size of the fish, especially if you’re using bait or worms. If you’re experienced with catch and release and are using lures or jigs, you can release the fish. It’s all about having fun and respecting the environment! The first thing you’ll notice about Green Valley Lake is how uncrowded and quiet this forested community is. It’s only a 90 minute drive from LA, Orange and San Diego Counties, which makes it really convenient for a weekend trip. GVL offers on-site rentals for rowboats, pedal boats, kayaks, canoes and stand up paddle boards with fees paid by the hour. There are wonderful hiking trails, some of the upper ones offer spectacular views of the San Gabriels to the west and Lake Arrowhead. There are fees for most activities, including fees for daily beach passes for adults and children. There is a California fishing license required for fishing in addition to a daily fishing pass that needs to be purchased. The game warden frequently comes around to check for licensing and day passes, so be sure not to pass on these. For a list of fees by activity, be sure to check the Green Valley Lake Recreation Website. Green Valley Lake is a year-round resort that will keep you entertained and in awe of the beautiful scenery. 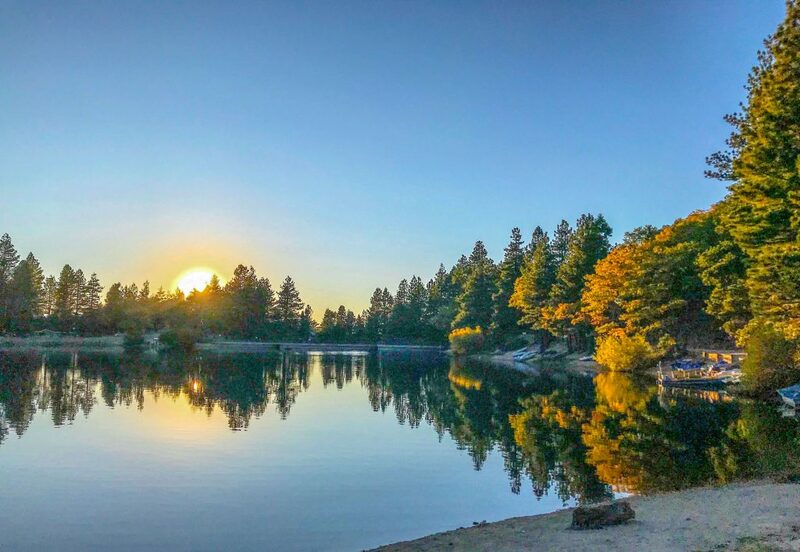 Whether you’re looking for a weekend of outdoor activities, or just a break from the city to enjoy the scenic mountains of San Bernardino, you won’t be disappointed.